Fast Business. 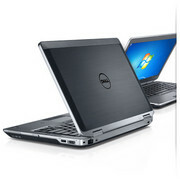 The Latitude E6430s offers nearly the same dimensions and weight as the 13.3-inch E6330 but with a 14-inch display. Has system performance and battery life suffered as a result from incorporating the larger display? As hot as ultrabooks are these days, business class laptops are still the best way for many of us to get through the workday. And the Dell Latitude E6430S is a well-rounded business laptop. It can handle the rigors of travel and the bumps and scrapes that come with being carried around the office. Of course, performance is crucial, and the laptop has the performance you'd expect at its sub-$1000 price point. Overall, the Latitude E6430s is a sturdy mid-range laptop offering a good mix of capabilities for mobile workers. However, the battery life is unimpressive and this model puzzlingly lacks even the option of 3G broadband capability. Overall, there's a whole lot that Dell gets right with the Latitude E6430s. It feels very solidly built, yet it's light compared to similar business laptops from competitors. And its keyboard is a pleasure to type on, thanks to the raised edges of the keys and a much-appreciated adjustable backlight. Its real-world application performance and battery life are admirable, and its array of ports is adequate (though we can grumble about the USB port placed at the rear instead of on one of the sides). 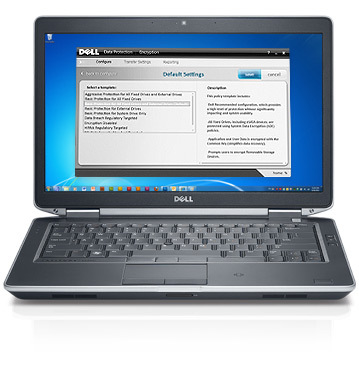 The Dell Latitude E6430s is a strong performer. It's built for tough environments and has strong battery life to boot. While our $1,646 configuration is on the pricey side, having a solid state drive on board makes a big difference in terms of boot time and overall responsiveness. Is this our top 14-inch business notebook? Not quite. Despite its continued efforts in the consumer market, Dell is still a box-shifter at heart and has refreshed its entire line of Latitude laptops.